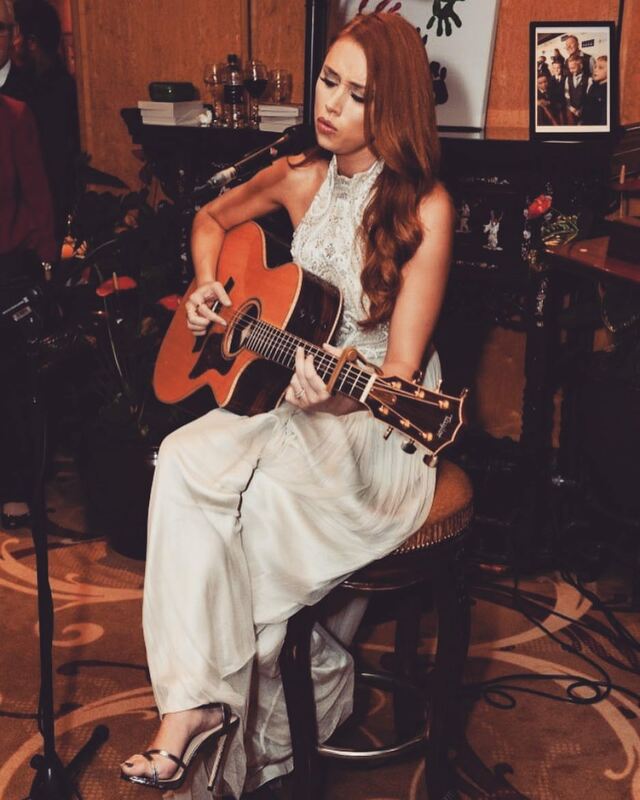 Una Healy is a singer/songwriter who has just hit the country music scene. A singer/songwriter most of her life, Una is best known for being one fifth of pop group The Saturdays. 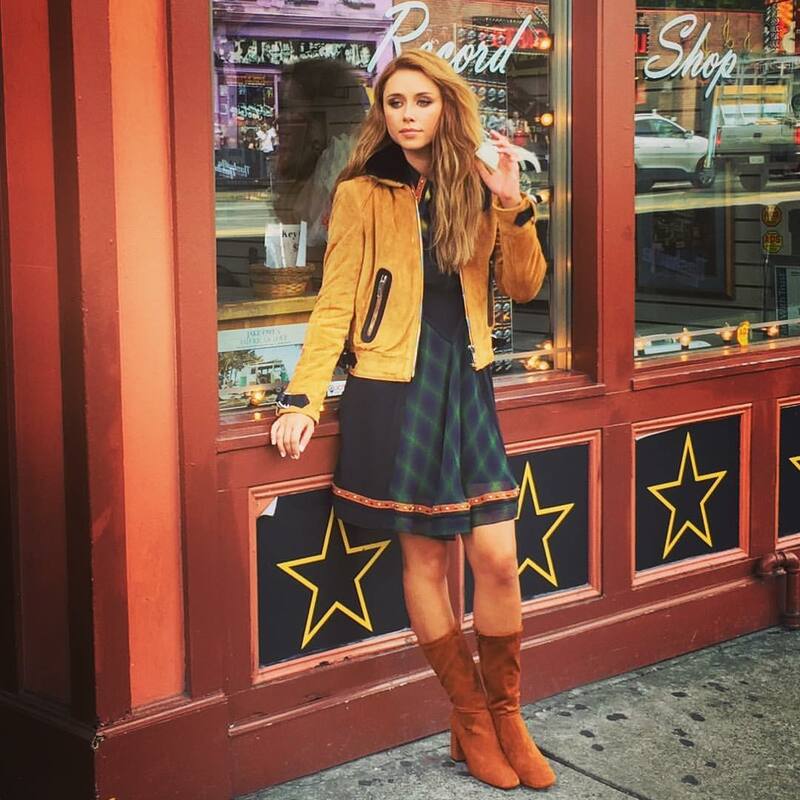 Una has recently been on tour in the UK with country superstars Maddie and Tae and UK artists Ward Thomas. Una releases her debut album The Waiting Game in February 2017. I caught up with Una to discuss album, her first show in front of a country music crowd and much more. Hi Una, how are you? Yeah, I am good thank you, how are you? I am good thank you, what have you been up to, have you been busy? Yeah, I’ve just got back from my sister’s wedding in Ireland. I was a bridesmaid and she is my only sister too, so it was a big occasion for the family. That sounds lovely and a nice break too. Most people know you as being one fifth of The Saturdays, but can you tell us a little bit about yourself as an individual, your musical back ground and why you chose to go into Country Music? I began playing music when I was 12 years old and then I got really into playing the guitar and writing songs. I grew up in Ireland, so the Country influence was there from a very early age. My Uncle is a very well known Country artist in Ireland called Declan Nerney, so I grew up listening to all the Irish Country stations, going to his gigs and being inspired by him. He is my godfather too and has supported me all the way, especially with my song writing, which he really encouraged, as it was a very hard thing to do at 12 years old. He was really on board and very nurturing, he really encouraged that. The music direction was only slightly Country and also singer/songwriter I guess, all throughout my teens. Then I took a bit of a step away from that when I was in the pop group The Saturdays, because I loved singing and I loved dancing – at the time it was a great opportunity and I was more than happy to be a part of that. I have sort of gone back to my roots again now and the album just turned out to sound quite Country but I never purposefully set out to do a Country album. It has a few crossovers, I would say there are definitely elements of pop in there and folk and pop rock, but essentially it has a huge Country feel to it because the songs are very storytelling and I always want to write beautiful melodies. I never want to bore anyone; I want emotions in every song I write, so that you can sort of feel you are involved and that you are there in each song you are singing. I was going to say that Ireland has a huge Country scene as well, so in a way it must have subconsciously influenced your musical direction. It’s the right time to join the Country Music community in the UK as it is growing rapidly here, especially with Ward Thomas having the number one album in the all genre charts and The Shires having the fastest selling Country album ever in the UK. You will be welcomed with open arms, we are very happy to have you. You are releasing your first solo album titled the Waiting Game in February? Yes, that’s right. It is available to pre-order now and you will get the track The Waiting Game right away. The Waiting Game is a great song, I am really enjoying it. Can I ask what the first single will be? The first single will be a track called Stay My Love which is a duet with Sam Palladio who plays Gunnar on the TV show Nashville. I co-wrote the song with Amy Wadge who wrote Thinking Out Loud with Ed Sheeran. The song is coming out in January and I shot the video for it in Nashville with Sam – he was already over there. It will be coming out January 13th followed by the album February 10th. That sounds very exciting, so you went to Nashville specially to film the video or were you there for various things? I went just to shoot the video. I didn’t work on any of the material out there, I did it all here in the UK. The only thing I have done just out there in Nashville was shoot the music video. I would love to go back again though. Was it the first time you had been to Nashville? First time ever yeah. I dreamt about going over there so it’s like the biggest dream video I have ever done. I can’t wait to watch the video, it sounds exciting. Did you get to do much sightseeing out there? Maybe visit the Grand Ole Opry? No sadly, it was just a very quick visit to shoot the video and do a few photographs and that kind of thing. Hopefully, with the music out I can go back out there and do a show or two. Sam Palladio said, as he has performed at The Opry a few times, that If I come over when he is playing that he will bring me out on stage to do that song with him. So, my goodness, that would be amazing. Aww well, I am sure he will look after you – he seems to know everyone in Nashville and he comes across as a lovely guy. How did you come to work with him for this single? Did you know him before? No, I had never met him before but I watched the show Nashville and when I wrote this song, quite a few people concluded that the song should be a duet – it had that feel to it and you could hear a male voice being on the song. We all got our heads together and drew out a few names and Sam’s name popped up and I was like ‘Oh, my god! He would be the perfect partner’. So, we just approached him really and he happily obliged and he’s there on the track now. He is very excited himself about it because as an actor he plays a singer/songwriter on the show, but as a person he is also pursuing a music career so this is a great opportunity for him to come out with me now and do some gigs and get his name out there. 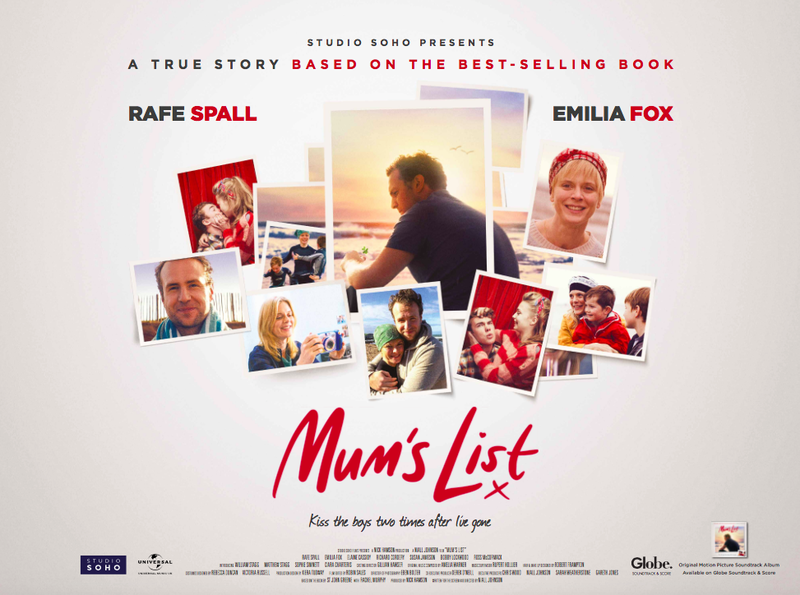 As well as a new album, you have one of your songs featured in a movie called Mum’s List, is that right? Yes, I have a song coming out in the movie Mum’s List next month which premiers on the 25th November. It’s a track I wrote last year for a lady, a family friend, who passed away. It’s called Angel Like You, and the producers of that movie heard it and said it would be a perfect fit for the movie, so I can’t wait for that. I watched the trailer for that movie and that alone had me in floods of tears so I am not sure if I can cope with the whole movie, especially now I am a mum. Oh, I know, I have read the book too and I found it difficult to read the book, because it is so sad, that I just had to keep putting it down. At the same time though, it’s so inspirational because of the amazing relationship the characters had and the beautiful children the main character had. She wanted to leave life knowing that they were going to be ok, to remember her well and to continue doing all the fun things that they did, as well as the things that she didn’t get to do with them. It’s heart-breaking but very true to life and is an amazing story. I look forward to hearing the song and watching the movie. I will make sure I am well packed with tissues as I know I will be an emotional mess. Your music already hits home for me a bit. When you were on tour with Maddie and Tae you sang a song you wrote for your daughter called Staring At The Moon and I found that quite relatable. Oh, yes, the song for Aoife. You know when you’re away from your loved ones, especially from your child, you have a feeling of guilt and separation anxiety. One of her first words was Moon and she kept saying it and I knew I had to write a song about that. I thought about how I was going to tie that in with how I feel about her, so then I thought, if she is looking at the moon, that I am looking back, so that is how that song came to be. Most of the UK Country fan base was introduced to you during your tour with Ward Thomas and Maddie and Tae –how did you find their audiences? Yes, that is the Country fan base here – we are very respectful and love to really listen to an artist. One thing I did notice was there were a few people in the audience who had been to more than one show and had already learned the words to all your songs, which must have been lovely? Yeah, I know, they did yeah. I was really amazed by that – it was lovely, they were the perfect audience. Were you aware of how big the Country community was in the UK or has it all come as a bit of a surprise? In Ireland it already had a big scene and there has always been a niche for it throughout my life but I have only recently become aware of how big the following is here in the UK. With the C2C Festival there is a huge amount of support there and that the support goes all over the country and all the way to Dublin too. For example, when Garth Brooks was supposed to play, he was meant to headline Cork Park in Ireland; that was the storyline of the year for Irish people. Almost every household had tickets to that gig and as Country music has been In Ireland for ages, for me, Garth Brooks was a household name. I came over here and I said to my husband, ‘Oh my god! Garth Brooks, I can’t believe he is going to do five shows.’ – and then he pulled out. My husband was like, ‘Who is Garth Brooks?’ I was like highly insulted, ha-ha! Ooh thats grounds for divorce ha-ha! Ha-ha yeah, exactly. I love people like Shania Twain, Sheryl Crow, Martina McBride and Garth Brooks. I always loved them growing up but I can see there is a whole new scene here and that there are great UK artists like Ward Thomas and The Shires who are becoming popular and cool. That’s good, because it is great music and it should be appreciated and followed and enjoyed, you know, because that is what it’s all about. I would love to see more and more of it coming along and for it to be huge thing taking off – that would be incredible. I have always said, if I were allowed one hour to play my choice of Country music on Radio One, it would become popular, ha-ha! Yeah, and I bet it would too, because people are really into it now and the time has come for it and it is truly deserved as well. Will we see you at C2C Festival? I haven’t heard if I am playing there yet but it would be amazing to go and be an incredible platform to play on. Fingers crossed, yep. Well, I hope so. Have you been as a fan yet? I haven’t, no – but I have heard a lot about it and if I am not performing there you will see me attending. Nearer the time when the album comes out, so February, I am performing at a children’s charity but that is not a ticketed event. Who are you listening to in Country music? I must say that what Ward Thomas have out is amazing and The Shires. I co-wrote with Ben Earle from The Shires for this album, we wrote Grow Up Not Old together. I am a huge fan of The Shires, so am happy to hear that. Yeah, it’s a great song – a really story telling one that is so relatable. Last question, how is the support from the other girls in The Saturdays? I noticed Mollie King was at a few of your shows? Yeah Mollie came along to the London shows. The others hope to come to the next shows but they have all been very supportive and have listened to the tracks. We all support each other. Well, I can’t wait to hear the album and I look forward to talking about it. Oh, thank you so much, thank you for the support.